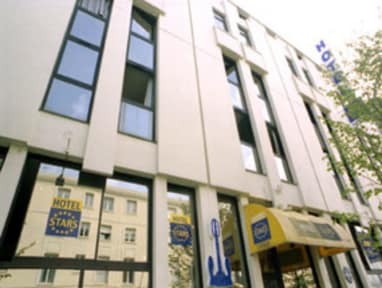 Hotel Stars Bordeaux Gare i Bordeaux, Frankrig: Reservér nu! Right in the centre of the world's wine capital, guests will find each room comes with its own shower and is equipped with satellite television, Canal+ and a private bathroom. Free WIFI access in the Lobby. 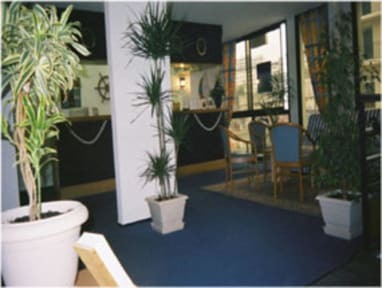 Our friendly English speaking staff will do their best to ensure that all aspects of your stay are smooth and enjoyable. Stars Bordeaux Gare serves buffet breakfasts every day in its pleasant breakfast room. With easy access from the A10 autoroute, Stars Bordeaux Gare is perfect for travellers who want to break their journey in a comfortable and relaxing way. The room was dirty and we got bed bugs from staying there. The staff was nice, but overall the hotel felt worn out, nasty and cheaper than it ought to. Bed bugs is simply unacceptable in any hotel.